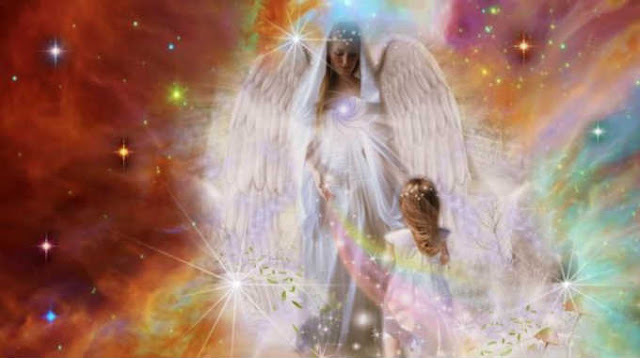 Are Spirit Guides/Angels Trying to Communicate With You! Are you too busy, distracted, or simply don’t allow for the possibility that you have spirit guides/angels? So you rather ignore the signs, maybe write them off as coincidences, or even strange occurrences. But really, the signs, signals, and strange synchronicities of life are often sent by them to deliver guidance, insight, maybe send a messages or warnings, or maybe simply to let you know you’re not alone and that you are incredibly loved and supported from beyond the physical. You feel warm and cuddly, like a loving hug. It makes you feel safe, even if it’s warning you of danger. Sensing a particular deceased loved one. It is accompanied by disembodied fragrances of your deceased loved one’s distinct scent. It leaves an indent in the couch or bed, as if someone has just sat next to you. It causes air-pressure or temperature changes. You feel like someone is touching parts of your body. It creates repetitious and consistent gut feelings to make a certain life change, or to take a certain step. It feels natural as if the experience is coming to you freely. Spirit guides/angels are great at sending signs. And this list is by no means a complete list. Guides may use any aspect of the physical realm to offer their guidance. The key for you to notice the signs is to remain present, alert and aware. In art and literature they are portrayed as being quite human like, with wings and halos etc. You may ask your guides to help you with attracting more abundance, and then your lights may flicker. Or maybe you’re out walking in nature and you seem to notice a shimmering light out of the corner of your eye, but then when you turn and look it’s gone. Geometric light patterns, orbs, flashes of light or color which you see indirectly out of the corner or your eye, or which quickly appear and disappear, are all common signs your guides are near. When feathers appear guides are near! The same is often true when you find coins, crystals, or other small meaningful objects on your path. Feathers, coins, and crystals are especially powerful signs when you keep finding them. Specially when you find them when you’re asking for help, guidance, or a simple sign. We often hear stories from people who find feathers in the most unlikely places. Finding coins, is a common sign of guidance and support. If you find a coin on your path, or perhaps someone gives you a coin, pay attention! Does the date on the coin hold any meaning for you? Have you asked for financial help from your guides? What were you thinking about right before you noticed the coin? This very well may be a sign from your guides, or from a loved one. When you find a coin know that it was deliberately placed on your path, and is a symbol illustrating that you’re loved, supported and guided. This post was republished from enlightened-consciousness.com. You can find the original post here.